Owing to our client centric approach, we offer quality products at industry leading prices and ensure to deliver the ordered consignments within the stipulated time frame. All these factors helped us to capture both domestic and international markets and have enabled us to emerge as trustworthy partners amongst our clients. 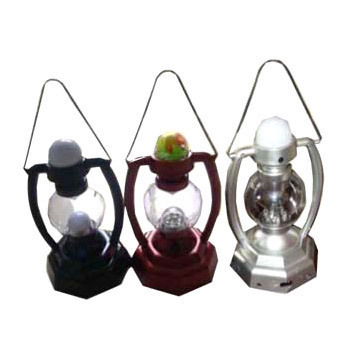 OurMINI LANTERN (DOUBLE BULBS) WITH CHARGER is a wide selling product, unique in concept and design and is widely used as emergency backup in a wide array of offices. Two Light Bulbs-One on Top, One Inside. Small & Long Cords Provided for Charging. Solar Universe India (SUI) was started in 2003 with a simple range of solar garden light. The positive feedback this line of product received led to the development of the current brand, branched out not on to have a pan-India presence but an international repute as well. Solar Universe India offers products, services and consultation in all segments of Solar Energy. SUI is now partnering and cooperating with like-minded business firms, governments and individuals who are keen to forward the cause and not just the business of renewable energy for the betterment and development of their surroundings and people. Along with our experienced team of engineers and professionals, SUI has acquired the capacity to meet the dynamic energy need of any individual or business from across the globe.